You want to make videos for your blog, but maybe you’re not sure where or how to even start. I want to encourage you to start practicing making videos. And to me the simplest way to practice is to vlog (or video blog). 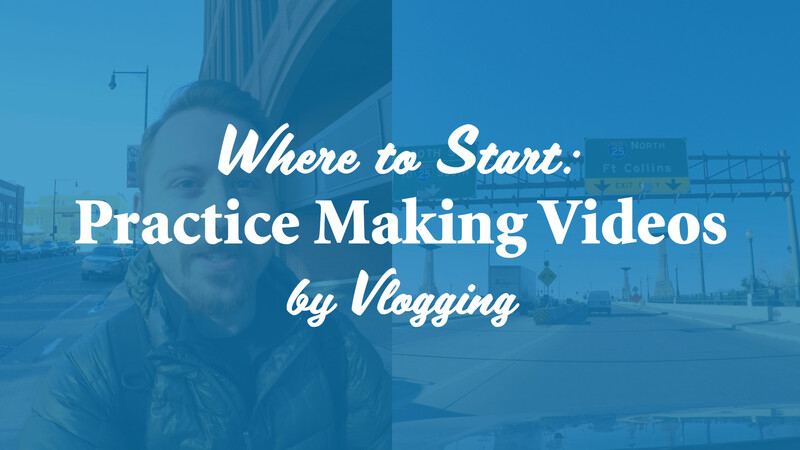 Start practicing making videos for your online business by vlogging. No one talks about actually practicing when it comes to making videos by yourself. Just like any creative discipline, it takes repetition (and time) to find your own rhythm and approach. And making videos of yourself, by yourself, is an especially challenging creative practice because you need to be present on camera while also thinking ahead. This is where I think practicing by vlogging can really help. It helped me when I first started being on camera, and it continues to work for me now. So I want to show you how to start. If you’re not familiar with the term “vlog” – the idea is that you’re sharing either a topic that’s on your mind, or you’re in the midst of something and you’re sharing what’s going on. Grab the camera of yours. Think about something you want to share. And hit record. After you make your video, consider coming back here and sharing it in the comments. I’d love to see it, and I’m sure others will find it encouraging too.